The following was shared by Cindy Gerhardt, President of Florida PTA. Resilience. That is our word for this year. We are showing the capacity to not only recover quickly from the damage and chaos that Hurricane Irma brought to our communities, but we are being propelled back into the role of caregiver and advocate. Only 10 days after Irma made landfall, Hurricane Maria devastated Puerto Rico and the Virgin Islands. While we know that many students from the Florida Keys, where schools have been extremely damaged, have been relocated to schools in Miami-Dade, we are now seeing hundreds of families from Puerto Rico migrating into areas in Central and South Florida. We know that they are coming with very few possessions, scarce documentation and some with little mastery of English. Here’s our call to action. If your school is receiving these displaced families, please be mindful of what they have been and are still going through. Most have lost everything. If you can, put together a welcome package with basic toiletries, school supplies, spirit t-shirts, etc. – something that will help them feel some sense of normality. Work alongside guidance counselors and other school staff to help meet other needs that may arise. Some may be staying in short term housing, some in shelters, some with local family members. If possible, let’s reach out and see how we can help with food, clothing and other necessities. In the next phase, we will be working with district personnel and state decision makers to ensure that our schools are set up for success as they absorb these new families. We’ll encourage common sense waivers and accommodations as we move forward to navigate the day-to-day curriculum and achievement expectations already in place for our schools. Please stay tuned for more updates as we send them, and more importantly, please keep us posted on ways you and your volunteers are helping to provide a smooth and less distressing transition for these families and their children. 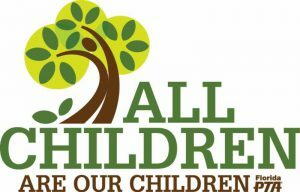 We will show them that our words are true, when we say ALL Children are OUR Children!